Understanding and respecting foreign culture and customs can go a long way to making an overseas business trip more successful. Being forearmed with knowledge can help avoid embarrassment and giving offence. 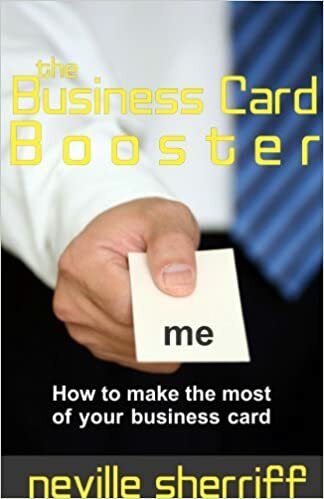 In Japan, for instance, the individual is represented by his business card and it’s essential that you treat the card itself with the required respect. I have witnessed representatives of major Japanese companies using their business cards as a form of credit card when entertaining. They hand in their business card at a restaurant and the company gets billed. Now, that’s respect and trust! Knowing the correct procedures helps make you more at ease in your dealings and will always result in a more trustful relationship. Because the business card has different meanings in various cultures, it’s essential that you do some research prior to your departure. You need to know what to put on the card and whether there are card handover procedures which need to be respected and followed. It’s always a good idea to have one side of your card printed in the language of the destination country. Present the card with that language face up. It’s usually prudent to exchange cards at the beginning of the initial meeting. Don’t just take the proffered card and store it away – always study it and even make comments. Such comments could be in the form of clarifying the information on the card. Use simplified Chinese characters on one side of the card. Also take the trouble to ensure it is in the correct dialect. Print it in gold ink – the Chinese regard it as an auspicious colour. When presenting your card you should hold it with both hands. Do not write on another person’s business card. Always use your right hand when giving or receiving a business card. Because English is widely spoken in business circles it is not essential to include Hindi – but it’s a nice touch. Include any university degrees on the card. Of all the nations, Japan is the one which regards the giving and receiving of business cards with great ceremony. As mentioned earlier, the card is “the individual” and respect is the key. Invest in quality cards and ensure they are in good condition. Keep them protected in a suitable holder to avoid curling and dirty marks. It’s a person, remember? The Japanese are sticklers for status and hierarchy, so make sure your title is on the card. IMPORTANT: Receive a business card with two hands, but present yours with one hand only. When attending a meeting, place your business cards on the table in front of you in the order people are seated. Return the cards to a case at the conclusion of the meeting – do not stuff them into your pocket! There is little ceremony and it’s even considered OK to keep business cards in your pocket. Nevertheless, keep cards clean and neat.